1 C None No Power Seat 1 C is a standard First Class seat. 1 H None No Power Seat 1 H is a standard First Class seat. 10 A None No Power Seat 10 A is a standard Business Class exit row seat that has extra legroom, however, the proximity to the galley may be bothersome. 10 C None No Power Seat 10 C is a standard Business Class exit row seat that has extra legroom, however, the proximity to the galley may be bothersome. 10 D None No Power Seat 10 D is a standard Business Class exit row seat that has extra legroom, however, the proximity to the galley may be bothersome. 10 E None No Power Seat 10 E is a standard Business Class exit row seat that has extra legroom, however, the proximity to the galley may be bothersome. 10 F None No Power Seat 10 F is a standard Business Class exit row seat that has extra legroom, however, the proximity to the galley may be bothersome. 10 G None No Power Seat 10 G is a standard Business Class exit row seat that has extra legroom, however, the proximity to the galley may be bothersome. 10 H None No Power Seat 10 H is a standard Business Class exit row seat that has extra legroom, however, the proximity to the galley may be bothersome. 10 K None No Power Seat 10 K is a standard Business Class exit row seat that has extra legroom, however, the proximity to the galley may be bothersome. 13 E None No Power Seat 13 E is a standard Business Class seat. 13 G None No Power Seat 13 G is a standard Business Class seat. 15 A None No Power Seat 15 A is missing a window. 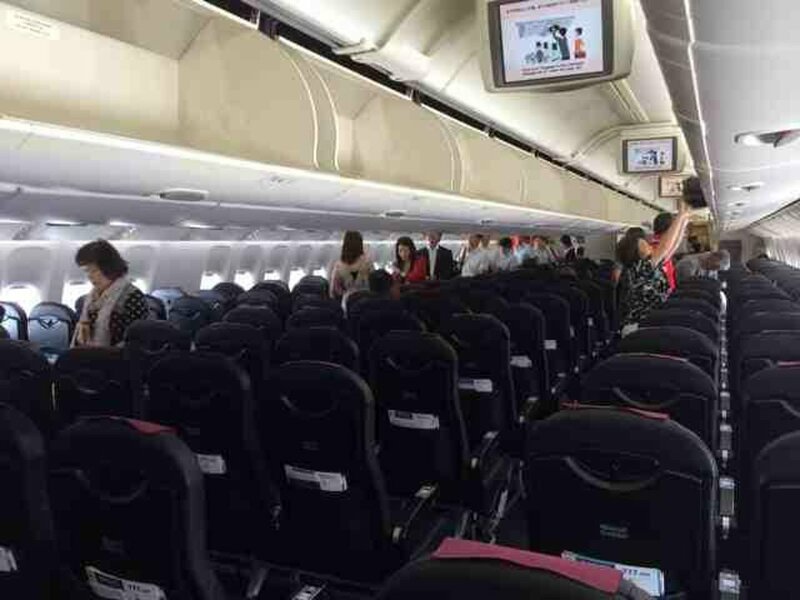 Noise from the more crowded Economy cabin may be bothersome. 15 C None No Power Seat 15 C is a standard Business Class seat, however, noise from the more crowded Economy cabin may be bothersome. 15 D None No Power Seat 15 D is a standard Business Class seat, however, noise from the more crowded Economy cabin may be bothersome. 15 E None No Power Seat 15 E is a standard Business Class seat, however, noise from the more crowded Economy cabin may be bothersome. 15 G None No Power Seat 15 G is a standard Business Class seat, however, noise from the more crowded Economy cabin may be bothersome. 15 H None No Power Seat 15 H is a standard Business Class seat, however, noise from the more crowded Economy cabin may be bothersome. 15 K None No Power Seat 15 K is missing a window. 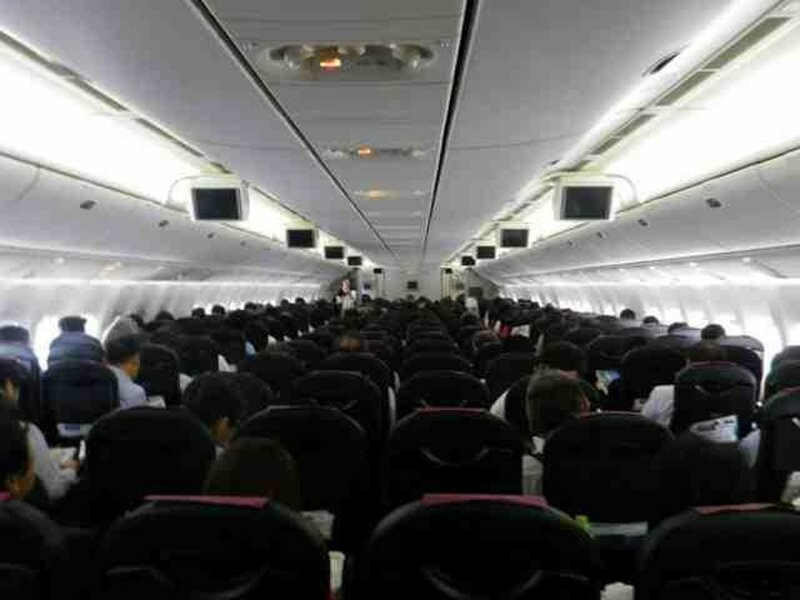 Noise from the more crowded Economy cabin may be bothersome. 20 A None No Power Seat 20 A is a standard Economy Class bulkhead row seat that has restricted legroom. 20 B None No Power Seat 20 B is a standard Economy Class bulkhead row seat that has restricted legroom. 20 C None No Power Seat 20 C is a standard Economy Class bulkhead row seat that has restricted legroom. 20 D None No Power Seat 20 D is a standard Economy Class bulkhead row seat that has restricted legroom. 20 E None No Power Seat 20 E is a standard Economy Class bulkhead row seat that has restricted legroom. 20 F None No Power Seat 20 F is a standard Economy Class bulkhead row seat that has restricted legroom. 20 G None No Power Seat 20 G is a standard Economy Class bulkhead row seat that has restricted legroom. 20 H None No Power Seat 20 H is a standard Economy Class bulkhead row seat that has restricted legroom. 20 J None No Power Seat 20 J is a standard Economy Class bulkhead row seat that has restricted legroom. 20 K None No Power Seat 20 K is a standard Economy Class bulkhead row seat that has restricted legroom. 32 H None No Power Seat 32 H may have limited recline. The proximity to the lavatory may be bothersome. 32 J None No Power Seat 32 J may have limited recline. The proximity to the lavatory may be bothersome. 32 K None No Power Seat 32 K may have limited recline. The proximity to the lavatory may be bothersome. 33 A None No Power Seat 33 A is a standard Economy Class seat that may have limited recline. 33 B None No Power Seat 33 B is a standard Economy Class seat that may have limited recline. 33 C None No Power Seat 33 C is a standard Economy Class seat that may have limited recline. 33 G None No Power Seat 33 G is a standard Economy Class seat, however, the proximity to the lavatory may be bothersome. 34 F None No Power Seat 34 F may have limited recline. The proximity to the lavatories may be bothersome. 45 A None No Power Seat 45 A is a standard Economy Class exit row seat that is missing a window. The proximity to the galley may be bothersome. 45 B None No Power Seat 45 B is a standard Economy Class exit row seat that has extra legroom. The proximity to the galley may be bothersome. 45 C None No Power Seat 45 C is a standard Economy Class exit row seat that has extra legroom. The proximity to the galley may be bothersome. 45 D None No Power Seat 45 D is a standard Economy Class exit row seat that has extra legroom. The proximity to the galley may be bothersome. 45 E None No Power Seat 45 E is a standard Economy Class exit row seat that has extra legroom. The proximity to the galley may be bothersome. 45 F None No Power Seat 45 F is a standard Economy Class exit row seat that has extra legroom. The proximity to the galley may be bothersome. 45 G None No Power Seat 45 G is a standard Economy Class exit row seat that has extra legroom. The proximity to the galley may be bothersome. 45 H None No Power Seat 45 H is a standard Economy Class exit row seat that has extra legroom. The proximity to the galley may be bothersome. 45 J None No Power Seat 45 J is a standard Economy Class exit row seat that has extra legroom. The proximity to the galley may be bothersome. 45 K None No Power Seat 45 K is a standard Economy Class exit row seat that is missing a window. The proximity to the galley may be bothersome. 5 A None No Power Seat 5 A is a standard Business Class bulkhead row seat that has restricted legroom. 5 C None No Power Seat 5 C is a standard Business Class bulkhead row seat that has restricted legroom. 5 D None No Power Seat 5 D is a standard Business Class bulkhead row seat that has restricted legroom. 5 E None No Power Seat 5 E is a standard Business Class bulkhead row seat that has restricted legroom. 5 F None No Power Seat 5 F is a standard Business Class bulkhead row seat that has restricted legroom. 5 G None No Power Seat 5 G is a standard Business Class bulkhead row seat that has restricted legroom. 5 H None No Power Seat 5 H is a standard Business Class bulkhead row seat that has restricted legroom. 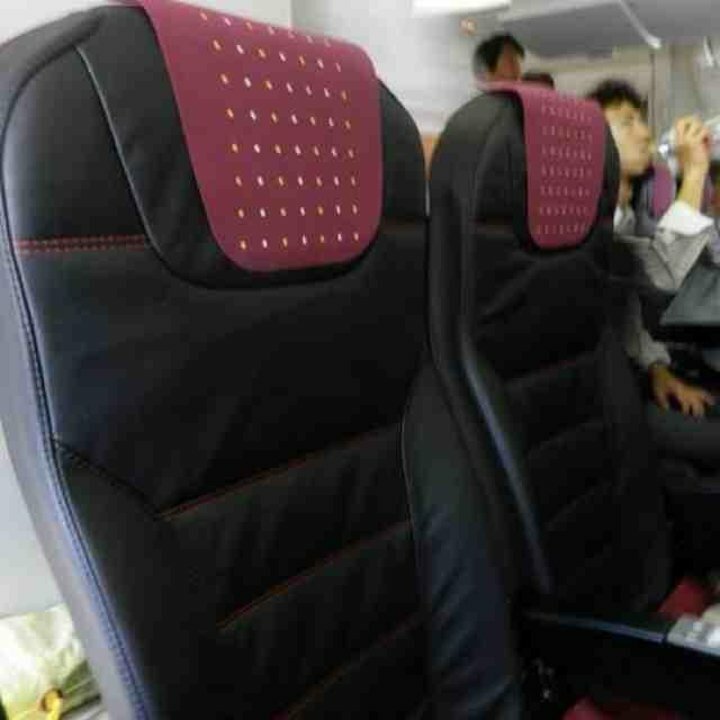 5 K None No Power Seat 5 K is a standard Business Class bulkhead row seat that has restricted legroom. 53 C None No Power Seat 53 C is a standard Economy Class seat, however, other flyers tend to bump into this seat. 53 H None No Power Seat 53 H is a standard Economy Class seat, however, other flyers tend to bump into this seat. 58 H None No Power Seat 58 H may have limited recline. The proximity to the lavatories may be bothersome. 58 K None No Power Seat 58 K may have limited recline. The proximity to the lavatories may be bothersome. 59 D None No Power Seat 59 D is a standard Economy Class seat, however, the proximity to the lavatories may be bothersome. 59 G None No Power Seat 59 G is a standard Economy Class seat, however, the proximity to the lavatories may be bothersome. 60 D None No Power Seat 60 D may have limited recline. The proximity to the lavatories may be bothersome. 60 E None No Power Seat 60 E may have limited recline. The proximity to the lavatories may be bothersome. 60 F None No Power Seat 60 F may have limited recline. The proximity to the lavatories may be bothersome. 60 G None No Power Seat 60 G may have limited recline. The proximity to the lavatories may be bothersome. 8 A None No Power Seat 8 A has limited recline. The proximity to the lavatory may be bothersome. 8 C None No Power Seat 8 C has limited recline. The proximity to the lavatory may be bothersome. 8 D None No Power Seat 8 D is a standard Business Class seat, however, the proximity to the lavatories may be bothersome. 8 G None No Power Seat 8 G is a standard Business Class seat, however, the proximity to the lavatories may be bothersome. 8 H None No Power Seat 8 H has limited recline. The proximity to the lavatory may be bothersome. 8 K None No Power Seat 8 K has limited recline. The proximity to the lavatory may be bothersome. 9 D None No Power Seat 9 D has limited recline. The proximity to the lavatories and galley may be bothersome. 9 E None No Power Seat 9 E has limited recline. The proximity to the lavatories and galley may be bothersome. 9 G None No Power Seat 9 G has limited recline. The proximity to the lavatories and galley may be bothersome. 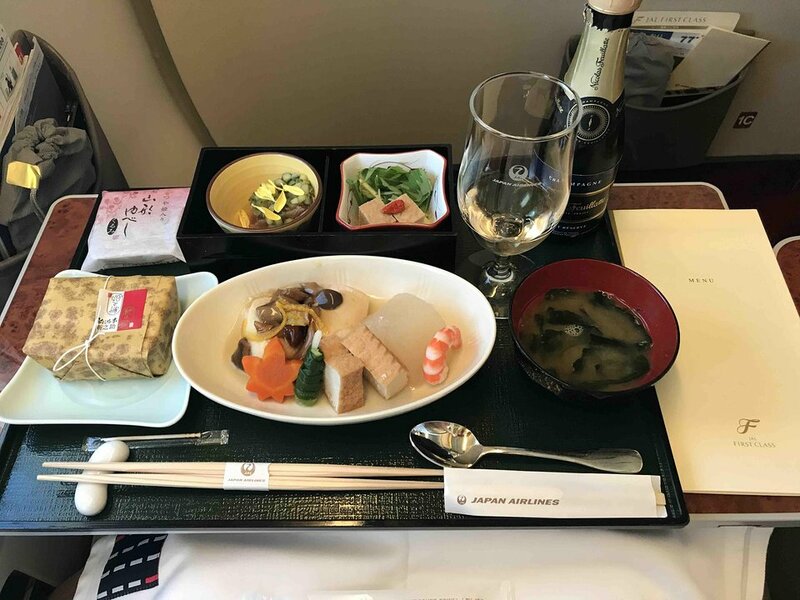 Japan Airlines offers a wide range of audio entertainment options covering everything from the latest pop tunes to traditional Rakugo-style Japanese comic monologues. Each First and Business Class seat on this aircraft has a 110v AC power port. 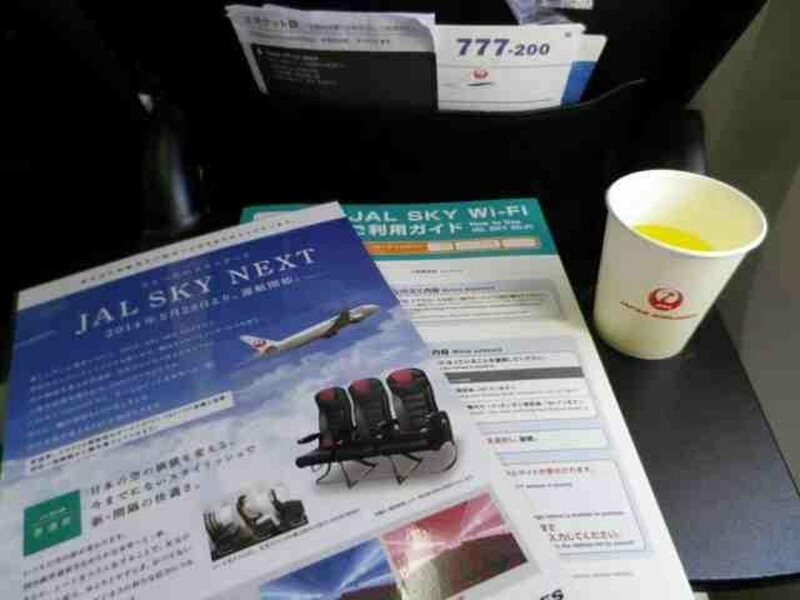 Japan Airlines offers complimentary snacks and beverages for passengers in Business and Economy Class. First class passengers receive complementary meal and beverage service. This Boeing 777-200 (772) V4 seats 375 passengers and is primarily used on Domestic routes. The 777 was jointly developed by Boeing and a group of airlines and is the most technologically advanced twinjet aircraft in the world. The 777 offers superior comfort, fuel-efficiency, and noise performance. With only extra 1000 Yen (about US$10) you can enjoy Class J. Seats are very comfortable: with 38 inches pitch and 2-4-2, the seas are spacious. The services are almost the same as those for economy class.